Sherborne in the Community (SITC) is a charity (No: 1031238), which owns No 34 Decima Street SE1 4QQ in Southwark, a Borough of Central London. For a number of years SITC has rented its building to organisations working to improve the condition of disadvantaged young people in Greater London for a peppercorn rent. The trustees of Sherborne in the Community have recently signed a long lease for the use of their building with DePaul UK (uk.depaulcharity.org). 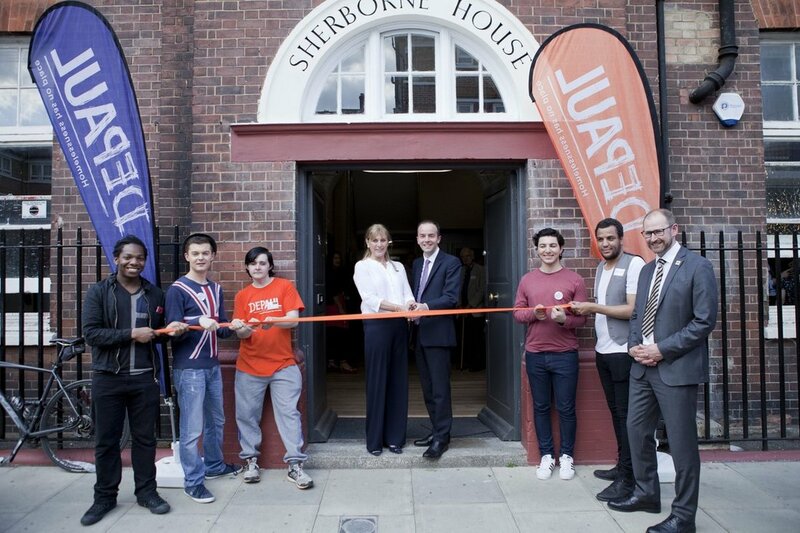 The Endeavour Centre at Sherborne House, near London Bridge, is an innovative space that combines help in a crisis with support for those young people who are rebuilding their lives. The national headquarters for Depaul UK, the building also provides a hub for Depaul’s award-winning Nightstop service – Britain’s only national network for emergency accommodation for young people. In 2018 we made our first grants to other small charities delivering services to disadvantaged young people in London. Four grants were made in total to: The Big House, supporting those leaving the care systems and helping them to prepare for life on their own; LEAP, which runs a leadership programme to help those who may become involved in gang culture to find ways to lead away from violence; Young Urban Arts Foundation, which runs an arts programme to improve the wellbeing and life chances of young people; and finally Boxing Futures, which offers the Boxercise programme to youngsters who lack social skills and confidence, who are low achievers who are at risk of getting into antisocial or criminal behaviour. We are now launching our invitations for grant applications for 2019. If your organisation is interested details can be found on this website in the section headed Grants. We look forward to hearing from you. You can follow developments at SITC through the website or through Facebook or Twitter.